For years, many families repeat holidays at Golden Taurus Aquapark Resort. This hotel is an ideal option to leisure activities on your holidays. 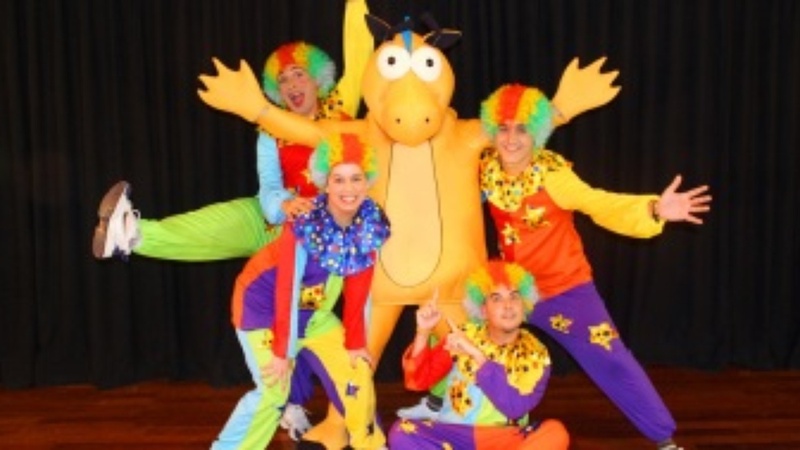 The hotel has many attractions for children that our entertainers coordinate with the agenda of activities developed by the hotel. 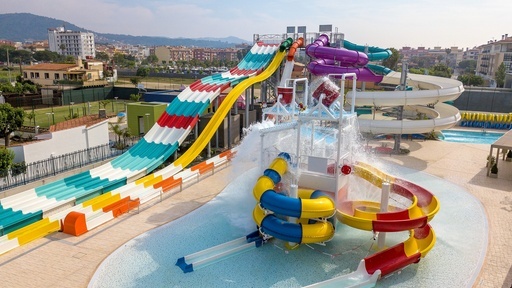 As a hotel focused on kids, the activities’ purpose is the enjoyment of all family. 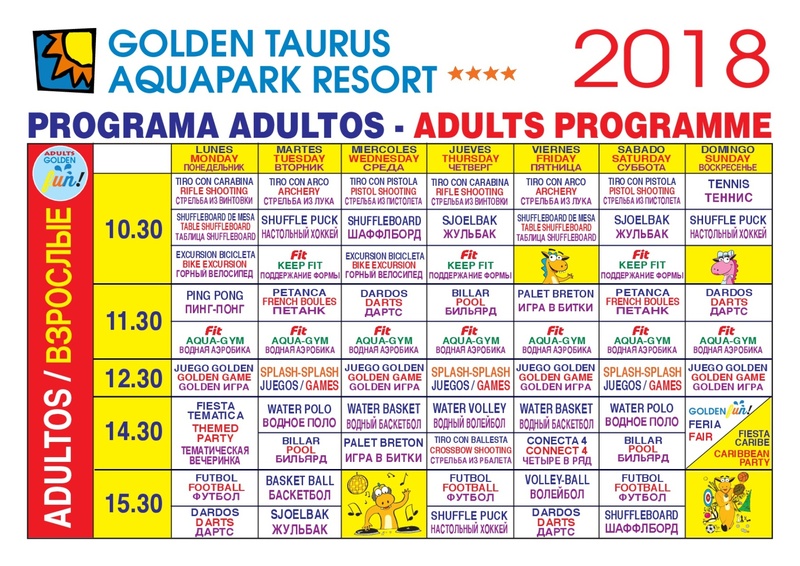 Also, the Golden Taurus Aquapark Resort hotel offers an extensive program of activities for adults, leisure and cultural activities. At Golden Hotels there is no place for boredom. 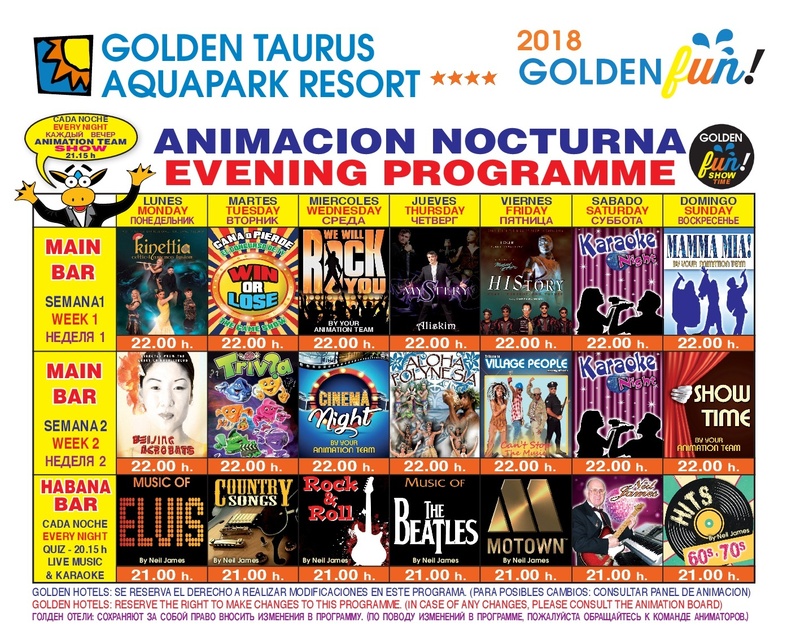 From the early hours of the morning until late at night, the animation teams of our hotels are responsible for preparing all kinds of activities: archery and rifle, football, volleyball, live music ... Everything for our guests to keep an indelible memory of your vacation with us. 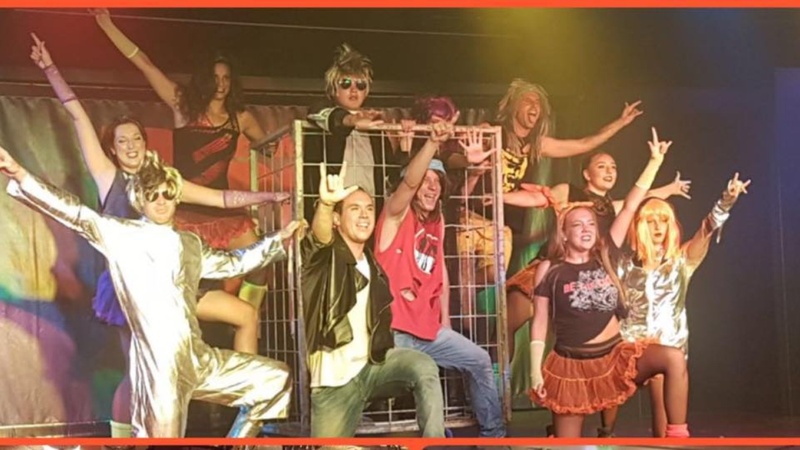 The little ones of the house have at their disposal the Mini Club, whose ample program includes clowns, disguises, special games and children's disco, among many other activities throughout the day. 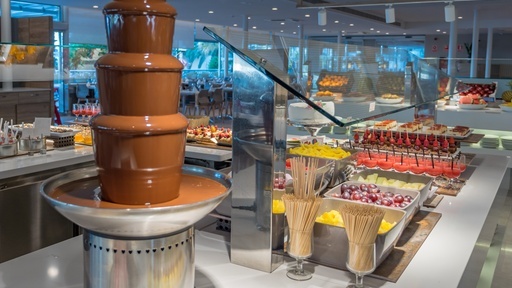 During the day, our entertainment team organizes numerous activities open to all guests. In the evening, live shows in the hotel's main bar. 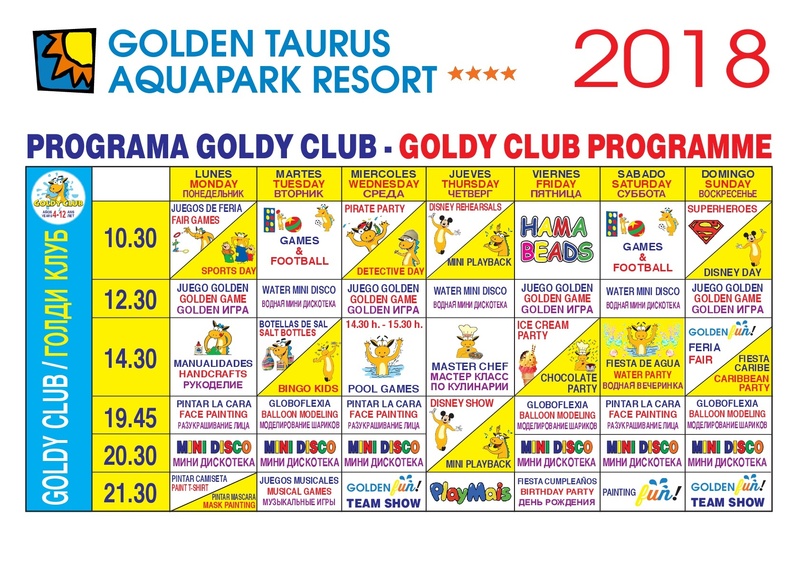 The meetings for the Golden Taurus Park hotel, organizing an event motivates us to actively engage in its development, since its success will also be ours. 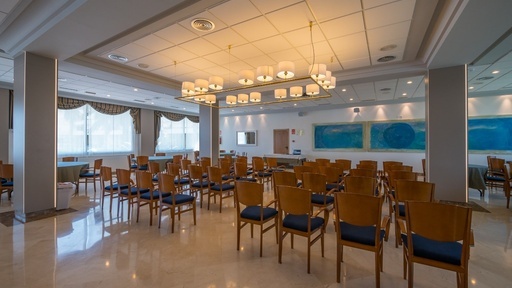 Multipurpose room with natural light, multiple assembly combinations and surface area up to 380 m2. 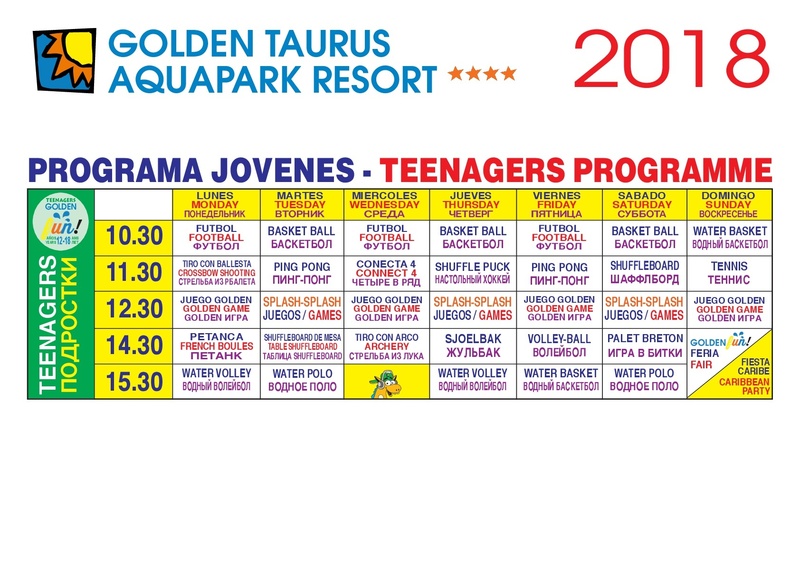 Come and enjoy our new water park at the Golden Taurus Park Resort. The opening of the park will be conditioned by security and climate issues.